New York Interior (1921) is an early example of Edward Hopper’s interest in enigmatic indoor scenes, offering an unconventional view of a woman sewing, suggesting the impersonal, yet strangely intimate quality of modern urban life. We glimpse this private moment through a window, with the figure’s turned face and exposed back heightening her anonymity and our awareness of her vulnerability. 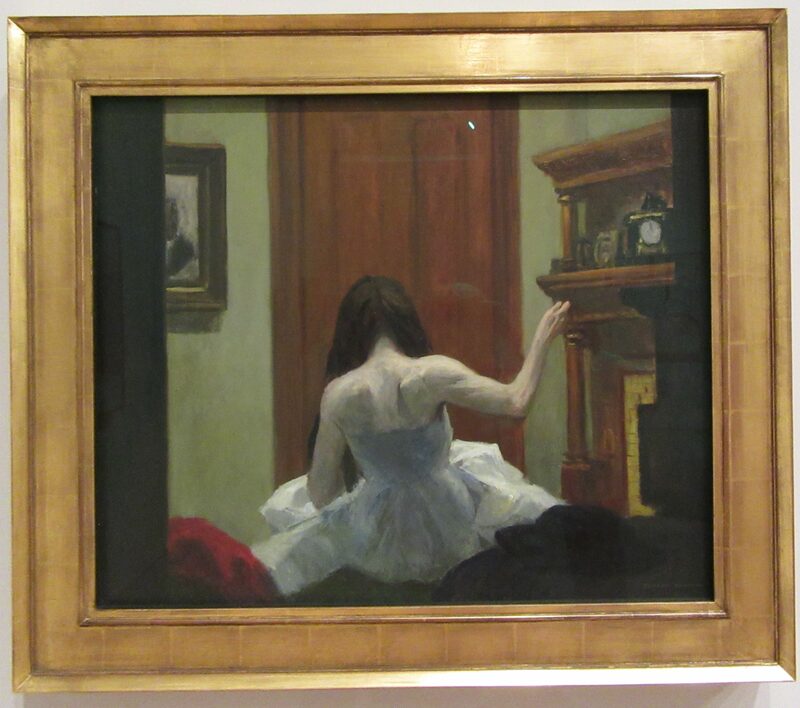 The woman’s clothing and gesture are reminiscent of the iconic ballet dancers painted by French impressionist Edgar Degas, whom Hopper singled out as the artist whose work he most admired. Photographed in the Whitney Museum in NYC.